Just look !Best deal of the year. 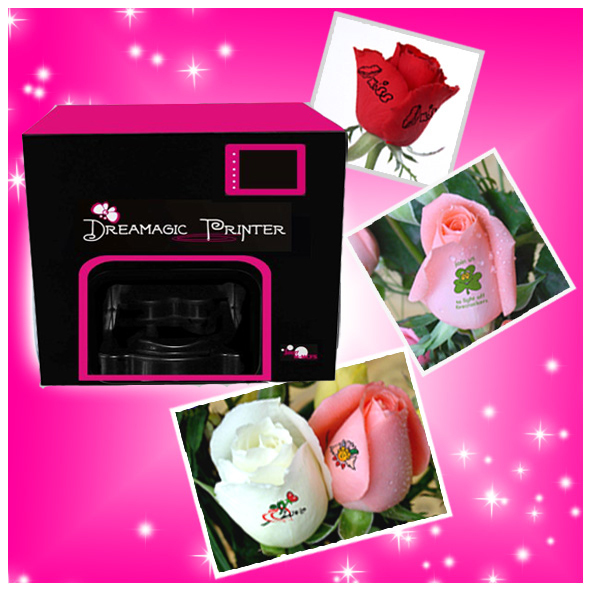 Flower printer machine.Can Print any picture and words on flowers such as roses,tulips,lily,sunflower and much more flowers.You can send these roses with Your words to Your lovers,friends,family and also Your partners ,and customers.It helps You express Your feelings. As for business opportunities seekers, this great printer is bound to earn You large profits. With low capital and some determination, You can start Your own personalized flowers business in Your local area. Watch as money starts rolling in Your pocket. Most importantly,our prices will not be beaten-ANYWHERE! Click here to select your printer and take advantage of this limited time special offer! Have a look at those beautiful roses ! Everybody who gets these astonishing flowers as a present will be overdelighted! This present will not leave anyone indifferent! And you can order this original gift for only 1 euro each. The price includes 1 sticker, which you can buy only from us. One sticker is devised for one flower and nobody will notice that it is just a sticker, as it is made on a special film produced in the USA. You can choose stickers from our catalogue. 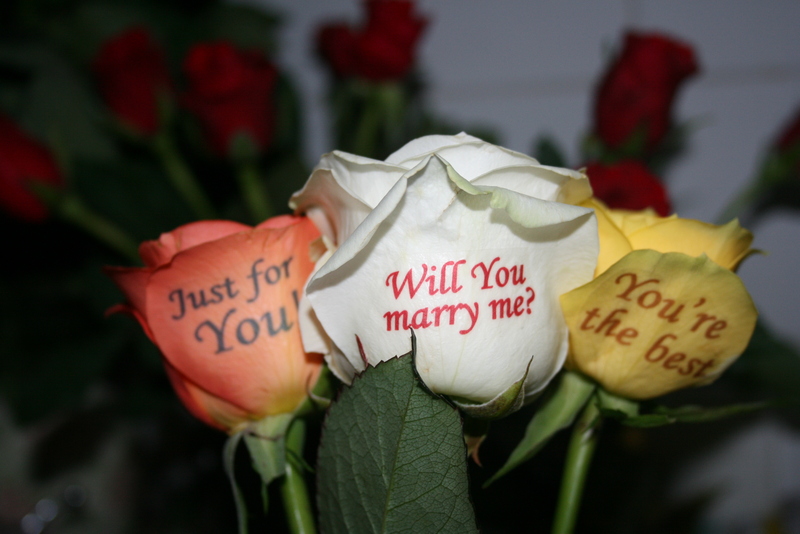 These stickers not advisable for dark red roses. If you have any questions ,don’t hesitate to contact us. Thanks for looking our website.